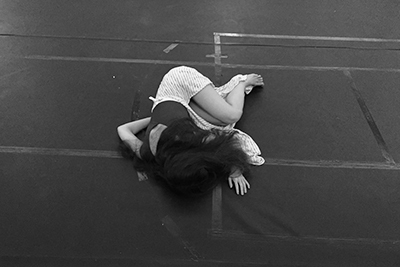 With In the Studio, Suzan D. Polat brings her private practice to Alt studio space to undergo a three weeks-long process -three days a week and three hours a day- to distil her accumulated knowledge through the execution of simple performative structures, such as compositional scores and fictions. These scores and fictions will be self-created, spontaneously, on site, and they will be available for the audience to view. They will act as both frame and an accumulating archive of the practice. 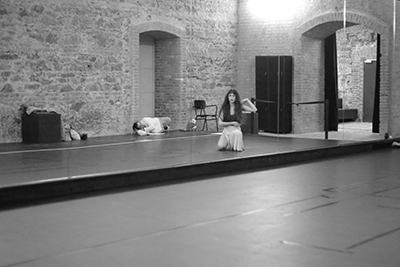 Born in Istanbul, Suzan D. Polat is an experimental dance-based performance artist. 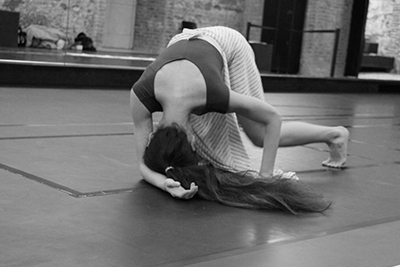 She is focused on developing her own movement idiom, while exploring the dynamics between form, energy, and materiality of her body. Her current theoretical inquiry involves imagining overlaps between the metaphysics of vibrant materialism, which critically traces philosophies of materiality to contemporary post-industrial context, and the politics of (eco-)feminist thought. 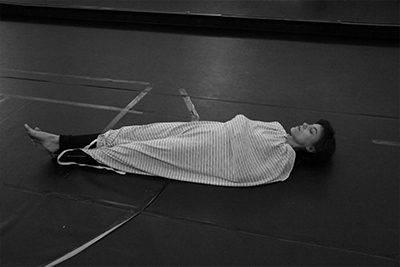 Her performances investigate various ways of framing the relationship between the exhibited body of the performer and the beholding bodies of the spectators.